The Speaker of the Lagos State House of Assembly, Rt. Hon. Mudashiru Obasa has urged Nigerians to imbibe spirit of love, peace and tolerance as taught and practised by Jesus Christ during his lifetime. This was contained in the Speaker’s Easter greetings to Nigerians especially Christians released on Friday in Lagos. The statement was signed by his Chief Press Secretary, Musbau Rasak. “Jesus Christ preached and practised love, peace and tolerance during his lifetime and these are the qualities we should imbibe and pracice to move this great country forward,” the Lagos Assembly Speaker said. According to him, Nigerians should show love to one another, eschew violence, do away with actions and utterances that can breach public peace as well as learn to tolerate one another. “Jesus Christ is a symbol of peace, love and tolerance hence we should strive to emulate him by being our brothers’ keepers at all time,” Rt. Hon. Obasa said. He urged Nigerians not to relent in their support for the All Progressives Congress (APC) administrations at all levels of government assuring that the government will always put in place measures, policies, projects and programmes that will enhance the welfare of Nigerians and improve their standard of living. “We are grateful for your support, cooperation and prayers for government at all levels. We will always ask for more support, prayers and cooperation from you while I want to assure you that government at all levels will strive to put in place programmes and policies that will improve the standard of living of our people,” he said. Rt. Hon. 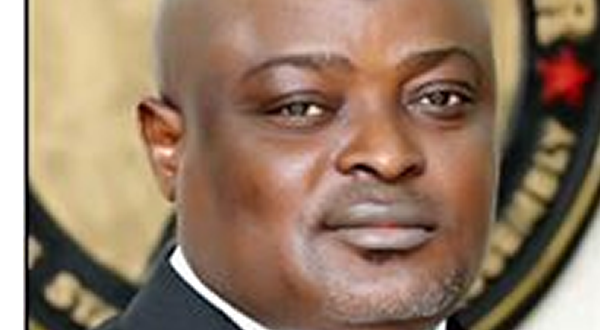 Obasa also reminded Nigerians on the need to remain vigilant and security conscious at all time. “We need to be security conscious all the time and remain ever vigilant. Therefore it becomes imperative for us to report any suspcious character or eventto security agencies nearest to us,” he said. “On behalf of my colleagues in the Lagos State House of Assembly, I wish you all a happy Easter celebration and I pray that God give us the grace to witness more of such celebrations in our life time,” Rt. Hon. Obasa said.